… when you’ve just had a swim in the sea together with your human. 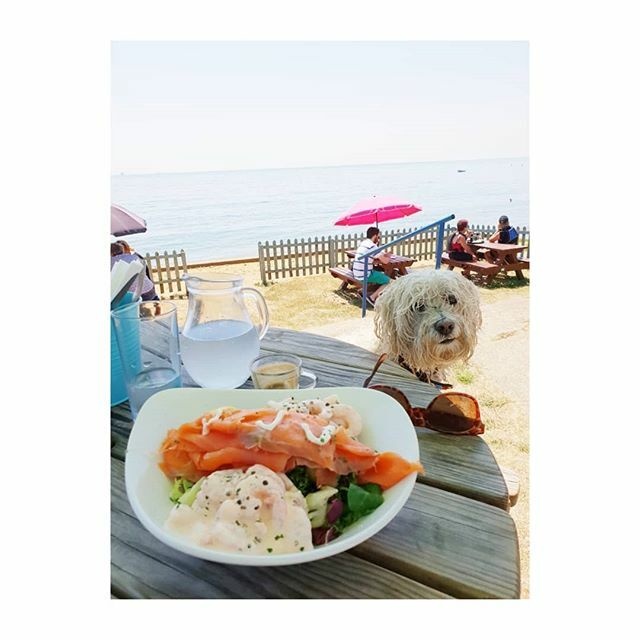 This entry was posted in Lifestyle and tagged 50plusblogger, 50pluslifestyle, beacg, bichon, bluesky, dogs, healthy, healthyeating, healthyfood, healthylifestyle, healthyliving, inspire, lifestyle, lifestyleblogger, lunch, lunchtime, motivate, prawns, seaside, smokedsalmon, sunny, weekend, westie, yummy by ceril. Bookmark the permalink.